Table linens don't have to be complicated. With our simple, color-coded diagrams, it's a cinch. That way, you can focus on planning even more important aspects of your special occasion. Our round tables are 72" in diameter, and they seat 8 comfortably. 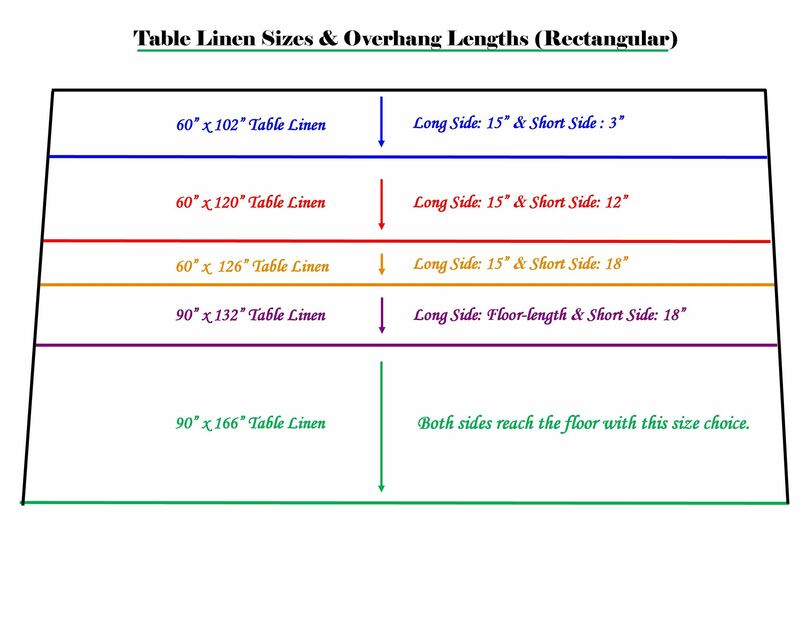 Refer to the diagram below to find your desired drop length and the appropriate linen measurements. Our rectangular tables are 8 feet long and seat 8 comfortably. 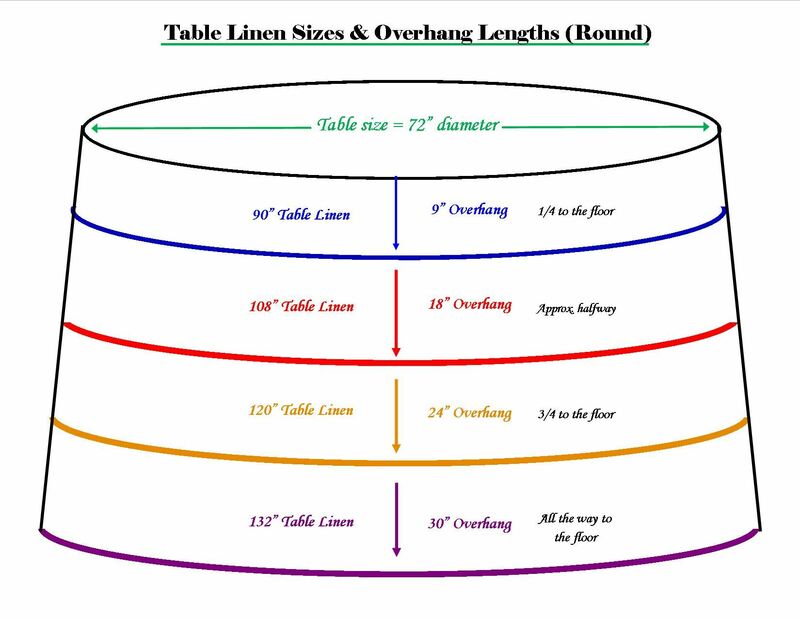 Refer to the diagram below to find your desired drop length and the appropriate linen measurements. REMINDER: Please note that the Adams County Fairgrounds does not actually rent out or provide table linens. These are the responsibility of the renter. This page is merely made to assist in the event planning process.